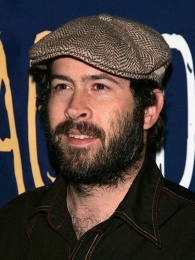 Born and raised in Southern California, Jason Lee took up skateboarding at age 13. By 18, he was on the professional skateboarding circuit, where he wowed legions of young fans and popularized a move called the "360 flip". Inspired to tap into the commercial aspect of the sport, Lee and a friend started the twin companies "Stereo Skateboards" and "Stereo Sounds Clothing". In the early 1990s, Lee took his tricks in front of the camera, appearing in several music videos - including one for the Sonic Youth song "100%", directed by Spike Jonze. Lee got his first taste of straight acting the next year, when he turned up alongside Jonze as a teenage drug customer in Allison Anders's Mi vida loca (1993). Lee's movie career began in earnest when he landed a lead role in Kevin Smith (I)'s Mallrats (1995) (at his very first audition, according to Smith). While the film was almost universally panned, Lee received high marks from critics and audiences for his turn as "cynical sidekick" Brodie Bruce. Smith was so pleased with Brodie that he wrote a part for Lee in his next film, Chasing Amy (1997): Ben Affleck's cranky roommate and comic book partner, "Banky". Lee won an Independent Spirit Award for his performance. After appearing in several indies and a made-for-TV movie, Lee crossed over into mainstream circles with Kissing a Fool (1998). Starring opposite David Schwimmer (I) and Mili Avital, he played a writer who works through his last breakup by writing a book. In 1999, Lee landed two significant acting gigs: one as the demon "Azrael" in Kevin Smith (I)'s Dogma (1999), and another as the eccentric young billionaire "Skip Skipperton" in Mumford (1999). He then went to work on Cameron Crowe (I)'s Almost Famous (2000), in which he plays a member of the fictional '70s band "Stillwater." Crowe hired Lee again to play the main supporting role opposite Tom Cruise in Vanilla Sky (2001). In 2001 he also worked again with Smith in Jay and Silent Bob Strike Back (2001). In 2003 he got the lead role in the studio comedy A Guy Thing (2003), although the film did not end up fairing well with critics and was a disappointment at the box office. Lee bounced back by voicing the villain Syndrome in the hit animated comedy The Incredibles (2004). In 2005 creator Gregory Thomas Garcia offered Lee the lead role in the comedy series "My Name Is Earl" (2005), although Lee originally turned it down Garcia convinced him to take the role. Once the show got picked up it was an instant hit with critics and faired well in the ratings. During "Earl's" tenure on the air Lee received two Golden Globe nominations for Best Actor in a TV Series Musical or Comedy, and three SAG nominations for Outstanding Actor in a TV Series Musical or Comedy. 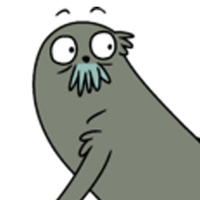 In May 2009 My Name is Earl was canceled due to ratings that wound down. During the four years on "Earl" Lee appeared in only a few films such as, Clerks II (2006), a voice in Monster House (2006), the voice of Underdog in Underdog (2007), and playing Dave in Alvin and the Chipmunks (2007) live action/CG film. He has the ability to cross and un-cross his right eye. He does this frequently in _"My Name Is Earl" (2005)_ (qv), usually while Earl is angry or intoxicated. Jason and his girlfriend, Ceren Alkac, are expecting their first child together, due in Fall, 2008 [April 29, 2008]. Godfather of 'Kevin Smith (I)' (qv)'s daughter Harley Quinn Smith. Mentioned a number of occasions in the autobiography of skating legend 'Tony Hawk' (qv), "Hawk: Occupation Skateboarder". Attended Ocean View High School, (Huntington Beach, CA). Was listed as a potential nominee on the 2008 Razzie Award nominating ballot. He was suggested in the Worst Actor category for his performances in the films _Alvin and the Chipmunks (2007)_ (qv) and _Underdog (2007)_ (qv). He failed to receive a nomination however. His Turkish/Australian model wife Ceren Alka� gave birth to their first child, a daughter, on August 10, 2008.